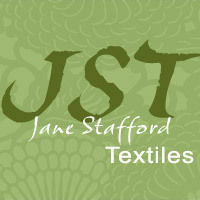 Jane Stafford Textiles, Jane Stafford, Salt Spring Is. Jane Stafford Textiles offers exceptional weaving workshops focusing on many fascinating techniques. Jane's 30 plus years of weaving and teaching are shared in our spacious, sunny studio surrounded by a beautiful rural setting.